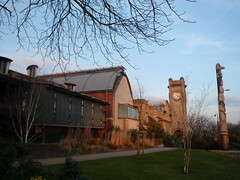 The Horniman Museum and Gardens is an eclectic and diverse collection located in Forest Hill (South East London). The museum and its items were donated by Frederick John Horniman to London and reflects his wide range of interests during the 19th century. 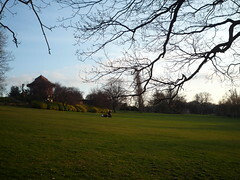 The Horniman offers a jack of all trades/ microcosm of several other museums. There’s the natural history section including a large stuffed walrus and details an array of evidence for evolution with examples of sapien and canine development. The second floor of the Natural History wing includes small fossils and minerals. It always fascinates me how archaeologists can determine the shape of an animal from the basic imprint of a life on stone. 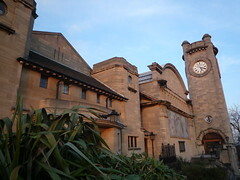 Much of the Horniman’s collection isn’t on display and as a result the second floor opposite the Natural History section is devoted to a regularly changing exhibit. When I visited it featured Chinese silks and Polish paper cutting. Underneath this exhibition is a hall covering many of the cultures of Africa from Egypt to Botswana and their influences in the Caribbean. The pieces are fascinating and there are several videos to provide additional content. 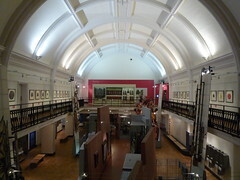 On the lower ground floor is one of the Horniman’s best and most unique exhibits. It’s a wonderful collection of musical instruments and it charts the development of the different types over the centuries and their uses in various cultural events. There are interactive tables to see some of these in action as well as a side room to put some basic theory to the test. Also on this floor is a special exhibits room. While I was visiting it had an artwork looking at the slave trade and some of the modern repercussions. The basement has a small but well designed aquarium with plenty of fish and aquatic environments. 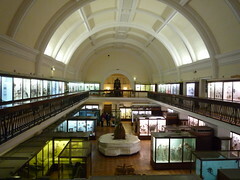 In the Centenary Room you’ll find a hodge podge of artifacts, many of these curios were exhibited by Horniman himself when he exhibited his curios to his social set such as a statue of Kali and torture chair. 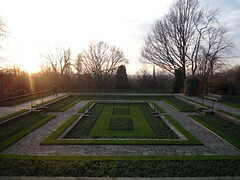 Beyond the Museum are the large gardens. 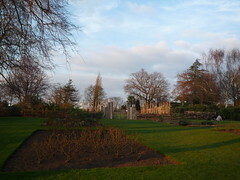 These are predominantly grassy areas but there’s also an elevated flower garden in the centre (not in bloom when I visited). It was quite pleasant to walk around (with the exception of the taunts by high-school girls….feels just like when I was a student – Repress!) and I’m sure in the spring and summer it would be a nice place to lie in the sun. 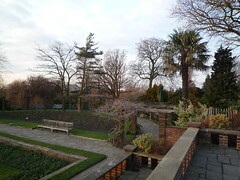 A visit to the Horniman (it’s free!) offers a wide range of topics where most people will find something of interest. None of the sections are particularly large and so you’ll be able to get through the content reasonably quickly – especially if one area is less appealing. Overall it is a well rounded and pleasant museum. The big disadvantage is the location. Unfortunately, it is in Zone 3 (approx 30mins from London Bridge), in South East London and there aren’t other (major) attractions nearby. However, if you don’t want to go to the Natural History Museum, London Aquarium and would like some ethnography and musicology thrown in then the Horniman would be perfect.